I’ve got to say this season has quite a lot going for it. It’s a lot easier to get excited about this season in comparison to Summer which was a bit more lean in terms of exciting series. Now it isn’t as if Summer is usually a packed season. But this time it was particularly lacking. At least this Fall season is looking pretty darn fun. We’re looking at a season that is bringing back known quantities in Fairy Tail, Sword Art Online, Index, and even Jojo. Just from the past we can expect some entertaining episodes from most of these shows. And on top of that we’ve got a fair number of adaptations that have enough reputation or interesting premises behind them that they should be worth checking out. There isn’t that much to carryover from Summer. Honestly most of the shows that are carrying over aren’t ones that I’m actively following. And certainly all the shows that I’m covering for the Summer season will be ending. So this season is of particular interest for me since it’s a pretty clean slate heading into the fall. Not that there haven’t been shows to watch. I’ve enjoyed keeping up with Boku no Hero S3, picking up Harukana Receive, finishing Fate/Extra, and seeing how Steins;Gate 0 is going to end. But it’s good to have new shows to talk about. As usual I’ll be referencing from Livechart and Anichart. They remain a good way to know what is coming out in any given season. These are the shows I’m the most hyped to see. That is either because I’m familiar enough with a previous season/source material or just because the previews and summaries look really good. I’m both counting on these shows to be entertaining and would be really disappointed if they fell short. 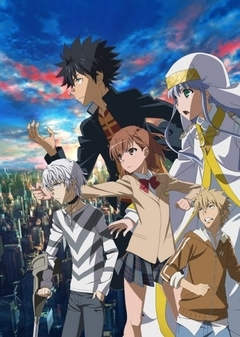 The third season of Toaru Majutsu no Index. This is one of those shows I wasn’t sure when it was going to happen. I’m just glad it is finally here. Finally get the chance to come back to the adventures of Touma and his social circle of espers, mages, and harem members XD. All I know for sure with this show is that there is going to be some kind of trouble and Touma is going to have to punch someone. I just like the show in general. The cast is pretty entertaining, the action should be good, and it gives me hope for another Railgun sequel. It’s Index and I’m glad the show is back for another season. Fairy Tail fits the pattern of shows coming back to us. In this case we’re now set for the anime to presumably cover the remainder of the manga. 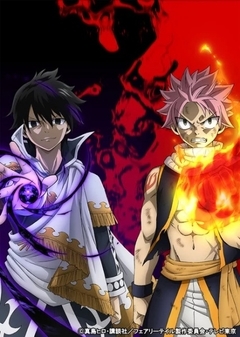 While Fairy Tail has had some ups and downs it will be good to see how the story ends. We can expect a lot of “nakama power” and probably more than a few times hearing the phrase “as expected of Erza.” This should be our chance to see the cast come back together and…well tackle whatever threats are on the horizon. It should be a lot of fun. It’s been a long ride since this show first came out back in 2009. Now we’ve got one last season before truly saying goodbye. At this point we really know what to expect from a Jojo series. There is going to be plenty of style, we’ll get some pretty good action, and should be a lot of fun. 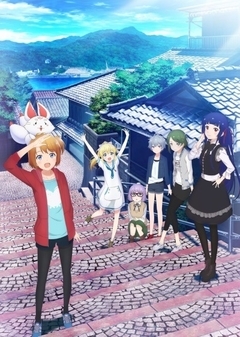 The show does rotate in a new protagonist every season so there is no telling if the next lead for the show is going to be as entertaining as the previous ones. The premise has some potential to be fun. It appears Koichi will be partially involved in this one and we’ll be watching the lead try to raise to the top of his mafia group. Not exactly the direction I expected this show to go. 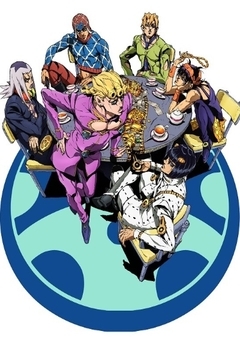 But they’ve still got stands and no doubt there will be some fantastical threat facing Giorno. Here’s hoping they can not only have style, but some substance to it. This show is one I don’t know a lot about, but the premise has me interested. 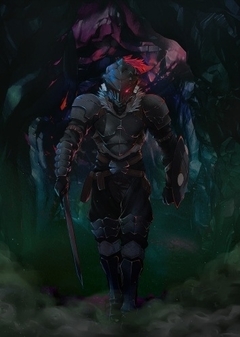 It appears we’re going into a straight up fantasy setting with a main character who really hates goblins. It’s kind of refreshing to have something that doesn’t sound like another isekai story. You just get the feeling that this is going to get pretty dark, with plenty of danger and things could get messy. Now the question is whether it gets too dark and bleak for me to enjoy. But there is no telling until the show comes out. It looks good and I’ve got faith White Fox can handle this kind of show. It will just come down to whether characters like this priestess girl are interesting enough. The setting seems solid and the premise could really work. But it’s always up to the characters to carry it. Speaking of isekai stories…this one does have my attention. 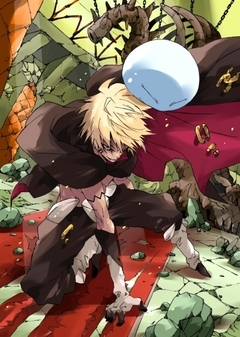 Maybe it is simply that we are changing things up a bit with the person going to another world…as a slime monster. It doesn’t appear he’s dropping there with an entire guild of super powered allies or with abundant special powers himself. I also like that it appears pretty bright and energetic of a show. Some darkness in a season can work, but a quirky situation with some bright visuals is fine by me. In some ways it makes me think of Overlord with the focus on non-human main characters. But it doesn’t appear to be as bleak which might fit with me better. I’ve got a pretty good feeling from the summary and the preview videos out there. Here’s hoping it lives up to my hopes. We pretty quickly move to the shows I’m somewhat excited for. While not as excited about these as the category above, I’m still pretty interested in watching them. Some have intriguing premises that I’m curious to see play out. While some have source materials that I’m sort of familiar with, but not extremely interested in. Some of these could easily turn into my favorites, but not as hyped about them going into the season. SAO’s newest season fits in this category for me because it can be a very hit or miss franchise. I’ve enjoyed some seasons and arcs of this show more than others. Kirito has his flaws as a lead, but there are times he can be pretty entertaining. Not sure what to make of the premise for this one. It does appear there will be a decent level of mystery to all this. 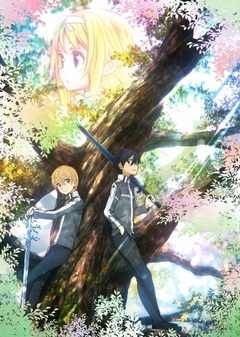 No idea what is going on with Kirito in this situation, but fingers crossed it will be worth watching. I’m kind of just hoping for more of the great music the show tends to have and hey maybe avoiding adding any further to Kirito’s harem. I just think it’s weird for a guy to actually end up with the main girl and then establish his harem. This one has my attention for some reason. 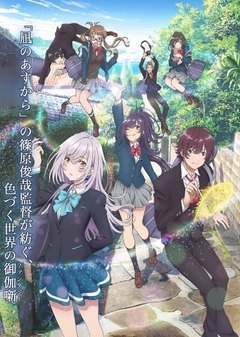 There is just something amusing about a show with something called “puberty syndrome.” I’m kind of curious if this will just fall into a simple harem situation of a guy helping various girls dealing with their problems and having them fall for him as a result. Honestly hoping it will be a bit more interesting than that. What I do know is that the preview looked good visually and Cloverworks seems to be on their game here. It just has my attention right now. What is going on with these girls, particularly the first one the main character runs into? 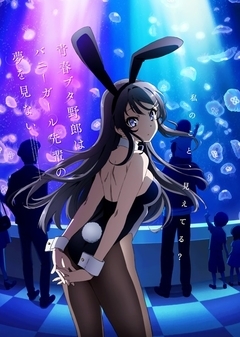 And hey any show that wants to make its pitch with a girl walking around school in a bunny girl outfit has me curious to at least see the first episode. Something about this premise just has me entertained. 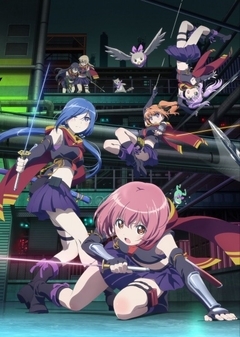 We’ve got a show with apparently ninja girls secretly protecting people and keeping the peace. Oddly we don’t get that much from ninjas and anime in general outside of the Naruto franchise. In some ways it reminds me of Princess Principal, but maybe it’s just that this show is really embracing its own sense of style. Maybe it won’t be anything special, but the previews have me interested in checking it out. The characters look good, it appears to be full of action, and I’m up for some original shows. We only see a few shows in any given season that aren’t adaptations or sequels. So I’m crossing my fingers that this will be one of the good ones. This one is kind of easy since the first season was pretty enjoyable. We’re just coming back to this show to continue the story after a short break. This show manages to really keep you interested in what is going on and setting the threat level. There was more than one time watching the first season that I just hoped the main cast would drop their whole mission to avoid getting into deeper danger. 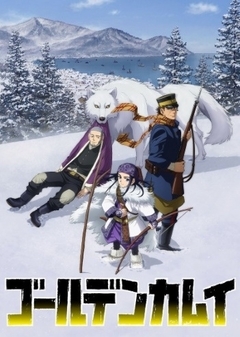 I can’t see them doing that, but looking forward to seeing the continued adventures of Sugimoto. The one thing I’m not looking forward to though is seeing how many different animal brains the main cast are going to eat. Props to them for delving into the lifestyles of this era, but I could go without the constant eating of animal brains. Grigio Academy Boarding School. The students that attend this school come from two countries, and reside in their own dormitories. Inazuka and Persia are leaders of rival dorms, but in secret they love each other. Now, they have to keep their relationship a secret from their dorm mates or else bad things will happen to them. This might be one of the shows in this category that has me the most intrigued. This is hardly the first alternate take on Romeo and Juliet. But even from the previews I really do like the main pair of this show. They both seem like capable badasses of their respective sides and are just stuck playing their roles while really wanting to just be together. Not often you get the chance to straight up mix a decent amount of action with a straight forward love story. I’m kind of curious if the characters are as likable as they appear in the previews and how they handle their difficult situation. It looks pretty good visually from what I can tell from previews. Maybe it doesn’t turn into one of the best shows of the season, but it could be one of the more enjoyable. 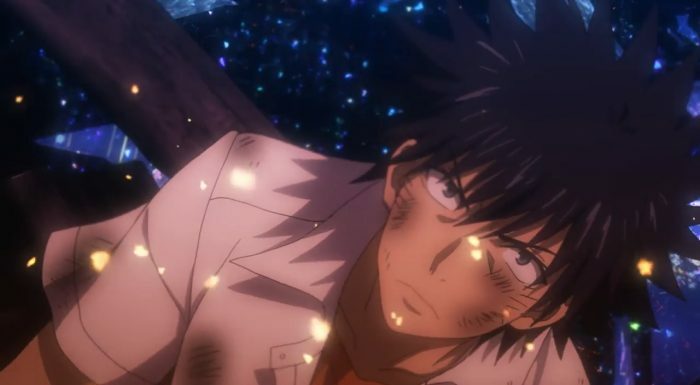 Yuta Hibiki awakens with amnesia and the ability see things that others cannot. He first encounters a Gridman in the reflection of his friend Rikka Takarada's computer and it tells him to "Remember his calling," but Yuta doesn't understand what this means. 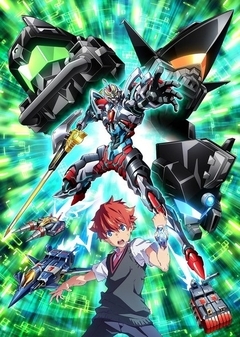 Later, in the distance, he sees an extremely large monster but it doesn't move...the hero Yuta saw in the computer screen pulls him within the computer and transforms Yuta into a giant hero named Gridman. You can sign me up to at least check out a show that is mixing together mechs and superhero action. At least from the previews it doesn’t appear either that this one is just trying to be a subversion of either genre. There isn’t that much to say besides the preview looked decent and that the concept has potential. Trigger tends to be pretty good when it comes to this kind of show. It will depend a lot on whether the lead is entertaining or just a pretty simple hero. And now for the shows that I’m not extremely hyped for, but still interested in talking about. Good shows I really like sometimes come out of this section. I just don’t know enough about these shows or don’t see enough from the previews to be excited yet. These shows have caught my eye though to the point that I’ll definitely check out those first episodes. This is the kind of show that I always tend to underrate and it ends up surprising me. 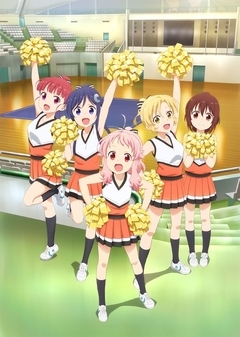 It seems pretty straight forward with a show about a girl who wants to become a cheerleader. She’ll make some friends, overcome some difficulties, and have some fun along the way. But that doesn’t mean the show can’t be really enjoyable. 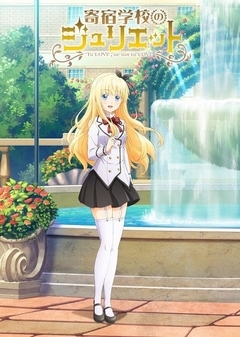 If the main character is fun to watch and she has good chemistry with her friends then it could be one of the more pleasant shows of the season to watch. I’m just not sure from the summary and the previews. Not enough to put my hype levels more than at a mild level. But it looks nice enough and I’m curious to check it out. This show feels like the kind of drama that I’ll either get really invested in or take a pass on. The premise has some interesting potential. You have a world where magic has effectively dried up and a grandmother sends her troubled granddaughter back in time. It could be interesting seeing this girl growing as a person and opening up. It could get all the more interesting since she’ll be interacting with the much younger version of her grandmother. Things could get really messy and complicated. If nothing else I’m curious to check this out and hope it is enjoyable. Masaru Saiga is a fifth-grade boy who aims to become a puppeteer. After Sadayoshi Saiga — the CEO of the giant home telephone maker Saiga and Masaru's father — passes away, Masaru inherits 18 billion yen. 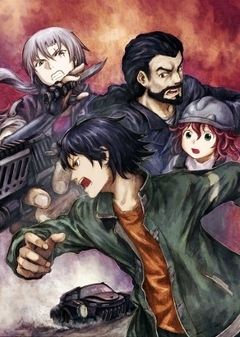 Masaru is targeted for his wealth, and is saved by two people. 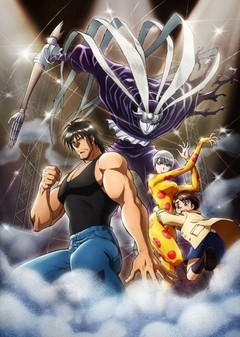 Narumi Katō is a man who has studied Kung-Fu and has a weird illness called "Zonapha Syndrome," and Shirogane is a silver-haired woman who controls the puppet "Arurukan" (Harlequin). This feels like one of the more unique shows of the season. We’ve got a fairly young kid who inherits a lot of money. Then we’ve got him being targeted and saved by two pretty distinct individuals. The show has special powers (weird puppet controlling) and apparently some decent action from what the previews have shown off. I have no idea if the characters are going to be interesting, but the premise has me curious. If nothing else it could be a fresh bit of fun that isn’t quite like anything else coming out this season. This show has me curious just based on the ambition of it. If you just wanted a show about a group of fisherwomen protecting the population of fish that’d probably be fine. But they went the extra mile of saying “we’re going to space!” Who knows if they can handle the space side of it effectively enough or even that the space side of this was all that necessary. But the show just caught my eye because it decided to take that chance. At this point really all I know is that the premise is kind of interesting. Here’s hoping the characters are good and can carry it. The year is 2050. A young engineer named Derrida Yvain became famous thanks to his contribution to the development of the "Autonomous Machine DZ" at Rebuild, the manufacturing company founded by his father. One day, Derrida and his colleague Nathan discover a flaw in the DZs and try to warn their boss, but are ignored...Derrida falls into a cold sleep machine and 10 years later, he wakes up to a devastated world in the middle of a war. This season has a decent spectrum of genres and with this show we get pretty decent sci-fi. A world gone downhill and a main character desperate to keep a promise made to a dead friend could make for a good story. You have a main character who feels responsible for the world ending up like this because he did refuse to act in the past and even a fish out of water situation since he was in cold sleep for a decade. Could just be a nice bit of variety in the Fall season. Not sure if the main character or the cast will be good, but the premise alone makes it something worth checking out. At this point I’m feeling really good about this season. There are some shows I’d expect to be safe bets to be great shows. I find it hard to imagine shows like Index really letting me down. We have a fair amount of sequels to familiar properties so easy enough to predict what to expect from them. I’d say the biggest slice of the anime pie this season is going to the action franchises. While quite a few of those have some comedy or romantic qualities mixed in, there is going to be a lot of fighting this season. But there is at least one or two shows for most of the genres. We get at least one or more mecha series or science fiction series. There aren’t a ton of pure dramas either, but we get some. It’s just a season that packed with action, romance, or comedies. I’m mostly pretty excited about this season. While there are plenty of shows that either don’t have source material or I haven’t seen the source material, the potential appears there. Not going into the Fall season worried that I’m going to struggle to find a decent amount of shows to watch weekly. I’m hoping there is enough coming out this season for everyone to have something to look forward to. There’s no telling yet what shows I might pick up. The slate is going to be clean, but will just have to wait and watch the shows first. While I’m going to miss some of the shows from this past Summer Season…I’m not going to miss that many. The feeling is definitely more excitement towards the possibilities of the new shows than feeling bad about the good ones ending. While the past season was a bit weak it appears this coming season of anime will step up nicely.